I think I’ve told you this before. I’m the little girl that grew up wanting to be a secretary because she liked organizing. You wouldn’t know that by looking at my house right now (save for the wonderfully organized files in my file drawer.) The trick to organization is making sure that every item has its proper place. With Command Brand Products, you can hang and store items where you need, helping you to keep your home neat and tidy. With a wide variety of hooks, clips, picture hangers and other organization products, Command Brand products from 3M provide the perfect solution for organizing and decorating the home. Unlike products that require nails, screws, tacks or messy adhesives, Command Brand products use Command adhesive technology, a revolutionary stretch-release technology that holds on strongly and comes of cleanly without damaging surfaces – leaving no holes, marks, sticky residue or stains on surfaces. Have you ever walked around your house looking for a pencil? Did you ever feel like you needed a place to hang an extra towel? 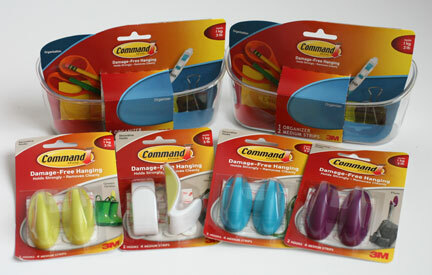 Fortunately, Command Brand Products has convenient hooks and organizers to give items their proper place. These products are especially useful during the back-to-school season, since there’s normally a bit of an uptick in paper that’s coming home and school supplies are being used for homework assignments. One of my favorite Command Brand products are their adhesive hooks. These plastic hooks come in a variety of styles and colors and can hold up to 7.5 pounds. Place a hook on the back of a door to give backpacks a place to hang. If you’re sending a child off to college, give them a handful of the Command hooks so they can have a place to hang up jackets, towels, etc. Installing (if you can even call it installation) the Command hooks is so easy. Simply remove the hooks from the package and apply the adhesive strip to the back of the hook. The strip will tell you which side faces the wall and which side sticks to the hook. Place the hook a clean wall or door. Slide the hook up and off the plastic backing so you press the base firmly for 30 seconds. Place the hook back on and wait for an hour for the adhesive to reach full strength. To remove the hook, all you need to do is slide the hook off the base, then slowly pull the adhesive straight down along the wall. The adhesive will streeeeeeeeetch and then remove from the wall or door completely. It’s amazing that such adhesive strength can be removed so easily without leaving any residue, mark, or stain. Another great Command product is their hanging organizers. Simply attach these bins to a wall near your child’s desk to create a space to hold school supplies such as pens, pencils, and rules. 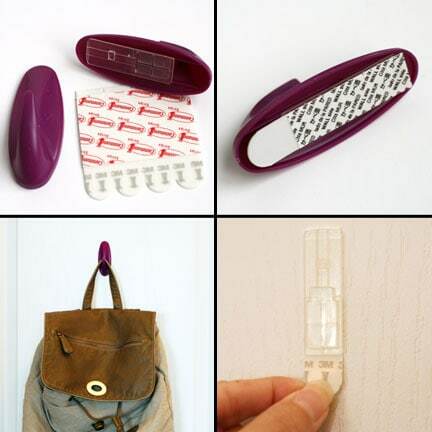 You can attach and remove them the same way as the hooks, making them easy to use. I also mounted one of the bins next to the entryway to create a convenient space to place keys, mail, and spare pens. I love that you can create your own personal, organized space using Command Brand Products. You can hang what you want where you want it without having to worry about drills, holes in the walls, or glues that require surgery for removal. You can pick up Command Brand products for your own home at home centers, drug and craft stores nationwide. The price varies from $2.99 for the basic hooks to $11.99 for larger organizers. Make sure you visit the Command website to download some coupons for savings off Command Brand products. One winner will receive a backpack filled with Command products. Leave a comment sharing which Command product you want the most and how you would use it. +1 if you follow Command on Twitter. Giveaway ends at 11:59 PM EST, September 15, 2011. I want to try the adhesive hooks. I can’t put nails in our walls because we rent. I would like to try the hanging organizer. My son has problems keeping pens and pencils, I could put this right beside his desk. 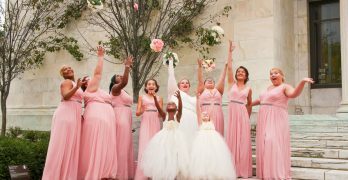 Love the cord organizers! Cords are always an ugly disaster around our TVs/computer areas. I’d like Command™ Modern Reflections Brushed Nickel Medium Metal Hook in kitchen and garage. I would use the hooks to hang up belts and purses in my closet. “Like” Command on Facebook. – DONE! “Like” The WiC Project on Facebook. – DONE! LOVE, LOVE, LOVE Command! Every Black Friday I decorate GBMC hospital for Christmas and on New Year’s we take it all down–great money! Anyhow, we use Command for lots of things and they are amazing and they hold a lot of weight–read the package when shopping for your intended use. You can double them for heavier wreaths, too. Highly recommend them and they are reusable. Make sure you use the real deal and if buying replacement tape–buy the right one. I already belong to the 3M emails, and I followed it on FB, but having problems with twitter today. The adhesive hooks are my favorite product. I would use them to hang wreaths. I like the command brand organizer. It will help me to hold pens and notepads where I can reach them. I can also use it to hold any spices or packets so I don’t forget to add them to my meal. I am a facebook fan of Command. The adhesive hooks so I can hang up the backpacks and tote bags neatly and always know where they are. I like Command on Facebook. I most want the adhesive hooks for our coats in my new apartment! The Command™ Caddy would be great in my kids bathroom for their shampoo, conditioner & soap. Command™ Caddy to hold my shampoos and soaps etc. i really need the picture/frame hangers. i just bought a home and have a TON of pictures to hang.. but i hate to drive a nail or a screw into my newly-painted walls! I like you on Facebook and I would love to win this! I like the adhesive hooks. Thanks for the great giveaway! I’d love to use the Command™ Cord Clips for my office! I like Command on Facebook, Cortney S.
I like WIC Project on Facebook, Cortney S.
I follow Command on Twitter, @ms_fleur. I follow you on GFC (fleur). I subscribe to WiC Project through reader. I subscribe to WiC Project through email. I would like to try their Forever Classic Brushed Nickel Medium Metal Hooks. These would be great to hang by the door that leads to the garage for the kids to hang their bookbags on. They match the decor of the vestibule. Thanks for the great giveaway. I am a fan of Command on Facebook. I am following Command on Twitter. I am following your RSS Feeds with my Google Reader ([email protected]). I would like to try the Command picture hangers. Thanks! Follow WIC on Twitter @ irishluck1114. Thanks. I want to try the Command™ Cord Organizer Pack, my hubby likes to leave the cords hang when he installs something, it frustrates me so much, it looks like such a cluttered mess. This product would really help with that problem. I could use it in the living room, and bedrooms. I could use the cord bundlers for the wires on the television and computer. I follow Command on Twitter. I “Like” WiC Project on Facebook. I “Like” Command on Facebook. The Adhesive Hooks would be somthing that I need and I could use them for my daughter’s room to hang her jewelry on. I really like the Command™ Jewelry Organizer! All the new colors of hooks, are great. I like the Photo Clips. I would use them above my desk and laptop to hold pics of the family! I like the Designer medium hooks. I’d use them to hang up holiday decorations. I love those hanging organizers. I would ut these on my wall in the front foyer so hubby can toss his keys in there. I’d love to have the damage free hanging hooks so I could use it to hang up coats in my living room! I would use the poster hangers for my college apartment! I would use the hooks to decorate for the holidays. I like the Command Medium Organizer to hold and organize my spices. I also like the Command Small Organizer to put my outgoing mail in. I think the key holder b/c well sometimes I cannot find my keys so I would use it to hopefully help me never lose them! Id like the photo clips for my desk at work. I would like the Cord Organizer Pack. I would use it for the Cords behind the TV. I would use the hooks to hang decorations in the kids’ rooms. My fave product is the Command™ Bathroom Hook. I’d use it in my daughter’s shower to hang her bath toys to drip dry. I’m a facebook fan of Command under username Jennie Tilson. I like the command forever classic brushed nickle small metal hook for my daughters bookbag! I ike command oN FB! I like comand on twitter! I’d most like to try the Command Sticky Nail Sawtooth Hanger. I like it can hold up to 5 pds; which is what I need it for since I have a large framed picture I need to hang in the living room. the sawtooth hooks to hold all that weight. I would like the Designer Large Hooks to hang our robes. I liked Command on facebook as Susan Chester. I liked you on facebook as Susan Chester. I’d like to have the nickel finish bath hook so i can hang up towels in the bathroom to dry! COmmand is my favorite household helper! I love those, from hooks in the bathroom to Christmas Stocking hooks over the fireplace! Use them all the time. My husband notified me recently we need more of those Hope I will win! We love general hooks! Great great product! Hard to find reliable long lasting and quality functioning stuff nowadays! long time WIC FB fan! Command™ Medium Organizer for my spices! I would get the command key holder because I never seem to be able to find my keys when I need them. I like the Command™ Fog-Resistant Mirror. I would hang it in the shower for my husband to use when shaving. I ‘like’ Command on Facebook. I ‘like’ The WIC Project on Facebook. We use the damage free hangars every year to hang up the Christmas Stockings on our mantel – and then remove the hooks after Christmas with no damage! large general hook to put up the artwork my husband hasn’t bothered with in the 6 years we’ve lived in this house. I like the Command™ Cord Organizer Pack. I would tame the mess of cords in back of our entertainment center. I wuld liike an assortment of the hooks. Easy to apply without drilling holes. great idea. i could go hook crazy. I would love to have the Photo Clips to display photos. liked on The WiC Project on Facebook. I like the Command large wire hooks to have the kids hang lunch totes on. I’d like the command picture wall mount! I would love the bathroom caddy. I love their hooks….i have never tried the bins but i would love to! I love their adhesive hooks! I’ve been trying to come up with a solution for towels thrown all over the floor and the hooks are perfect! I love the hooks! I would put my keys, dog leashes and other items that I need that don’t have a home! #2 I’m Subscribed by email. I could really use the Command™ Cord Bundlers! Any of the cord keepers or bundlers would be a great addition to my house. I have a 1yr old and need to keep some cords out of reach more stylishly than with tape. I love their picture hanging strips – allows me to fill my walls with pictures without messing the walls up! I love the Command Recharging Station and would would it in my bedroom because my cell phone is my alarm clock. Command Hooks to organize my jewelry. I could use the Small Wire Hooks in so many places. The caddies are nice also. I like the hooks to hang things on the wall. I have purses,etc. that I need to hang. I would use the hooks for my belts and kids backpacks and tons more! We really need some command hooks! I like command on facebook! I need some picture and frame hangers–have several small pictures I want to hang and haven’t yet purchased the appropriate hangers. I love the hooks, I would use them to hang my kids stocking up. Thanks for the chance! I love the hooks because I hate putting holes in my walls and I love hanging things. So excited to see this giveaway!!! I love all of the Command Hooks! My son’s playroom and bedroom desperately need them! Thanks for the contest! Absolutely love the Command Small Hooks! These are great to put on inside of frames on windows to hang Christmas lights. I don’t use no more tapes. These are the best! And easy to take off too. I like the Command Recharging Station for charging our cells. i want the Command™ Cord Bundlers to clean up the cords behind the tv and computer! 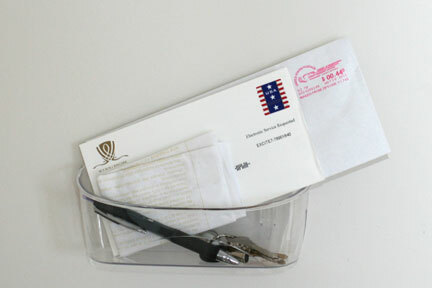 I would like the Command organizer to use a central bill holder! I like to use the command products for the holidays so I can hang my holiday decor. I would most like to have the Command Recharging Station. I would keep it by my desk to easily charge all the items that get stacked there for me to charge whenever I can find the charger. I follow Command on twitter as willitara. I follow The WiC Project on Twitter as willitara. I would like their bathroom caddy. Perfect for storing extra shampoo bottles.